When you are chronically ill, it’s easy to get caught up in wanting to show the world that you are still present and hiding your illness and symptoms as much as possible. This can have a significant impact on the way we treat ourselves, not allowing us time to heal, time to give into fatigue and time to reflect on our feelings and reactions to our conditions. If we don’t give ourselves this time, we can fall quickly down the ever turning spiral of emotions and fatigue and end up in a worse position than we were in at the beginning of the illness. You need to treat yourself like your own best friend. Spoil yourself, pamper yourself and pay attention to your emotions. Sometimes when we wake in the morning, the world can seem incredibly overwhelming and it can be tough to know where to start with the day. Here are some suggestions for keeping yourself in the best state possible to battle with your condition and keep your head in the game. Easier said than done some nights, but getting enough sleep is important to anyone, with or without a chronic illness. Spend time reflecting on your sleep patterns, do you get to sleep easily but then wake up throughout the night? Do you struggle to get to sleep but, when you do you're dead to the world? 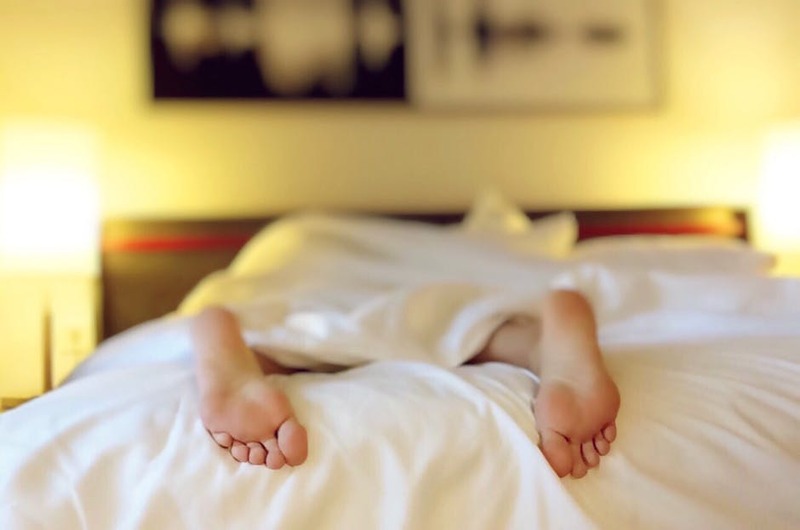 If you identify your sleep pattern, you can use it to your benefit- if you wake up early and don’t get enough sleep, try going to bed a few hours earlier. If you struggle with getting to sleep, think of the things that distract you and eliminate them (no phones in bed etc…). Try hot baths with lavender oils or similar comforting smells, don’t drink caffeine after 3pm, don’t eat a heavy meal in the hours before you go to bed- there are many ideas and suggestions out there so find what works for you. Try to think of you day in three sections- morning, afternoon, and evening. Allocate activities to each of these time slots so that you are not faced with an overwhelming list of things to achieve by the end of the day. As far as possible, keep one of these thirds free and use it to rest and focus on yourself. There are days when we can feel like our old selves and there are days when we don’t feel human at all. If we expect the bad days, we can prepare for them and work out what our priorities are for that day. Set reasonable goals for yourself (had shower, made dinner, walked the dog etc…) and feel proud when you accomplish these. Don’t push through activities to keep others happy, they are not the ones who have to deal with the fallout from over doing things. Prioritise yourself and your health above all other things and don't be pushed into things, those who say that this is selfish are the ones who'll claim all your energy. Include the things that have to be done in order to look after your basic needs and go through it on a bad day. Have I eaten? Have a I brushed my teeth? Am I wearing clean clothes? Though these sound like obvious things, when you're in the middle of a flare up, all logic and sense goes out of the window. Yes, it’s horrible. Yes, you're in pain but it is not what you chose. You have no need to feel guilty for an illness you have no control over and a body which is doing its very best to keep you going (even though it doesn’t feel like it!). No matter how big or how small, these achievements mean something and you should acknowledge them. You went to the shop to buy milk- go you! You did the washing up or made a phone call- look at you go! You can’t judge your accomplishments by your previous standards as there are day when you just won’t make it and would end up feeling beaten if you haven’t achieved anything. Celebrate the here and now. Focus on what you can do and not what you can’t. It need only be for a couple of minutes but the sun and fresh air can blow away more cobwebs than you expect. If you’re having a bad day, take a gentle stroll around the garden. Feeling a bit better? Go for a walk around the block or just pace up and down the street a few times. Even if it is cold and wet, try and wrap up and get that air in your lungs. If you're bed bound or can’t leave the house, open the windows for half an hour and blow away the stale air in the house, you’ll be surprised at how fresh you feel. Give yourself some proper ‘me’ time. Change the sheets on your bed, have a long bath (with one of our scented soaps or bath bombs! ), use a face mask, condition your hair, paint your nails, watch a soppy film… Just indulge yourself. "Spoons" are a visual representation used as a unit of measure used to quantify how much energy a person has throughout a given day. Each activity requires a given number of spoons, which will only be replaced as the person "recharges" through rest. A person who runs out of spoons has no choice but to rest until their spoons are replenished. Think about how you are spending your spoons. Are you giving away too many to people who may not deserve it? Are they being spent on things that don’t have a positive impact? Work out where your energy is going and reflect on whether you're happy with the picture.